Do you have a dry scalp? Do you feel ashamed and self-conscious because of that flaky scalp of yours? Do you feel embarrassed for trying a new hairstyle every time you go for a party or any other occasion? Have you been complaining too much about hair fall lately? Then you have landed at the right place! Dandruff and hair loss are the most common dry scalp problems that bother us and should be addressed immediately before any major issue arises. So, we are here to tell you about an amazing ingredient, Castor oil, that will help you not only to get rid of your dry scalp but also helps you improve the quality of your hair in a low-cost and efficient way. Castor oil is nothing but another kind of vegetable oil, that is extracted from the castor seeds of the castor plant also known as Ricinus Communis. This oil works like magic for any kind of skin, health and hair problems. It has antibacterial, anti-inflammatory and anti-oxidant properties that make it so special and useful for all purposes. Castor oil has a high penetrating property that helps it get absorbed into the skin easily. All the minerals and nutrients get replenished into the cuticles of the scalp and moisturize it effectively. Castor oil not only helps nourish your scalp but is equally effective for a healthy and hydrated hair as well. Everyone knows that dry scalp leads to dandruff but a very few care about treating them properly. Castor oil helps your scalp retain its moisture and hydrates the scalp well. Also read: 5 All Natural Ways to Make Your Hairs Softer in a Week! Castor oil has antioxidants that help stimulate the blood circulation in your scalp which will make your hair follicles to tighten up and prevents hair from falling off. Thus, massaging your scalp with castor oil will only nourish it and without any side-effects. Due to the anti-fungal and antibacterial properties, castor oil contains, the scalp gets a protection from the infection causing bacteria. You can get castor oil of multiple brands in the market, but we suggest you go for either a Jamaican Black Castor oil or cosmetic grade or cold-pressed castor oil. Generally, this oil has a mild odor and a pale-yellow color in nature, but the Jamaican Black, as the name suggests, is darker and thicker. 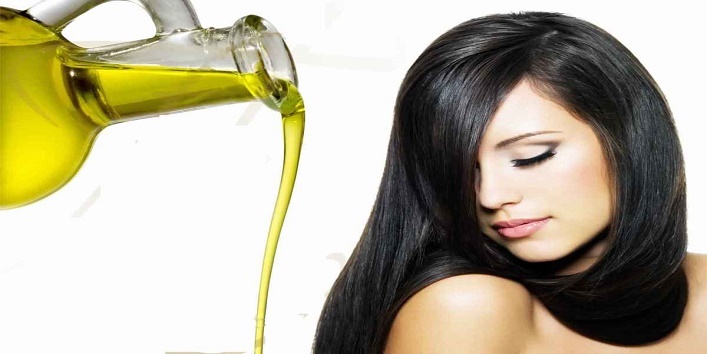 To make the mild odor tolerable and its thick viscosity diluent, mix castor oil with some other beneficial oil of equal quantity so that it can spread evenly on your scalp without much problem. You can mix it with coconut oil, olive oil or even almond oil for better results and make it work its magic faster. 1. Take the mixture and apply it on your scalp evenly. 2. Leave it for overnight and wash off next morning. 3. Repeat the process every alternate day and see the results in two weeks. Also read: This Magical Oil Can Make Your Eyelashes Grow, Really! Share your review of how castor oil has made you more confident and helped you get a better skin and health benefits, in the comments box below.